As the governments of the United States and China meet in Beijing this week for the Sixth U.S.-China Strategic and Economic Dialogue (S&ED), one area worth watching closely is clean energy and climate change cooperation. While this topic may seem to have fallen off the top of the list of bilateral priorities since the big push in 2009, it is likely to be back in the spotlight this month. The next big deadline for negotiating a global climate treaty – UN-led talks in Paris in 2015 – now looms large. On the surface little seems to have changed since the last time international climate negotiations received serious global attention, in Copenhagen in 2009. China and the United States are still the big global emitters, and the politics of carbon mitigation remain complex. However, three key dynamics have shifted which could directly influence the tenor of next year’s talks in Paris. First, the relationship between China and the United States is different. In the midst of preparations for Copenhagen, 2009 also saw the launch of several new clean-energy agreements between the two countries that have allowed for a broad expansion of the bilateral channels for discussing energy and climate issues. Five years later, far from waning, this cooperation has been reinvigorated by the added attention over the past year of US secretary of state John Kerry. While it is often hard to assess whether or not there is anything to these formal statements and reaffirmations, one bilateral initiative in particular has moved beyond negotiated text and into the realm of real cooperation: the US-China Clean Energy Research Center (CERC). Spanning the public and private sectors and involving top researchers from universities and national laboratories in both countries, the CERC has been credited with protecting and creating intellectual property, as well as propelling numerous other clean-energy collaborations with both intellectual and commercial value. For example, LP Amina, a participant in the CERC’s Advanced Coal Technology Consortium, was able to demonstrate its new coal classifier technology at the Fengtai Power Station in Anhui Province, enabling it to then promote this technology in the United States and globally. Second, China is different. Recent severe air pollution episodes have kept environmental concerns – particularly related to coal combustion – in the political spotlight. Bad air pollution episodes are becoming more common throughout eastern China. The World Health Organization representative in China has declared this a crisis, and numerous studies have linked the rising air pollution to a severe toll on public health. Among leading Chinese scholars, discussions of caps on coal, and even of carbon emissions peaks, are increasingly mainstream. As a result, types of mitigation actions that were not on the table back in Copenhagen as countries looked towards 2020 targets, could come under consideration for the 2025-2030 timeframe being discussed in Paris. Third, the United States is different. When the US government reaffirmed its pre-Copenhagen commitment to reduce emissions 17% below 2005 levels by 2020 in November 2012, the absence of new domestic climate change initiatives left many wondering whether the target could be achieved. But the launch of Obama’s June 2013 Climate Action Plan, followed by the Environmental Protection Administration’s proposal for carbon standards on new power plants, and most recently on existing power plants, has changed the conversation. This is not to say that expectations for a global agreement in 2015 should be high. A total of 196 countries have ratified the United Nations Framework Convention on Climate Change, and reaching consensus on a meaningful way forward will not be easy. After Copenhagen left many disillusioned with the UN process, governments are tempering their expectations. This is exactly why it is time to elevate engagement with China. Just because we have a record number of bilateral agreements on the books, does not mean we can reduce our focus on the relationship, which merits a sizable and sustained level of effort. The US has been lazy about this relationship before. Recent examples include the two-plus year expiration and eventual renewal of the U.S.-China Protocol on Energy Efficiency and Renewable Energy, and the significant restructuring of the FutureGen project to build, in partnership with China, a commercial-scale advanced generation coal plant with carbon capture and storage. 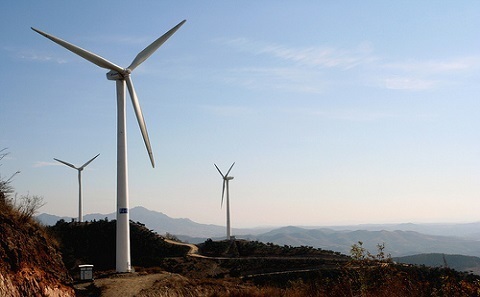 The cancellation or downscaling by the United States of several key clean-energy projects has led to some scepticism in China over the prospects for stronger long-term cooperation. Even as eastern China chokes on record levels of pollution, China’s leaders will not take an international leadership role in addressing environmental challenges until they can figure out a way to be leaders. Until an alternative vision to the coal-fueled economy seems practical, it is difficult for them to be aggressive with international emissions targets. This is exactly why technical cooperation on clean energy – on topics ranging from how to develop accurate and transparent national inventories of emissions data, to how cost-effectively to capture carbon emissions from coal at scale – is so important. China’s neighbours are complaining of a continued failure to share pollution data, and boosting data transparency is crucial to building the trust needed for expanded cooperation. Both China and the United States could do more internationally with a richer bilateral engagement. US-China initiatives provide important channels for technical cooperation and information sharing without the added pressures and complexities that a multilateral forum brings. Keeping these channels open and active will be crucial as focus on the international negotiations intensifies. The latest IPCC report, on climate change impacts, adaptation and vulnerability, has just been published. What are the experts saying?